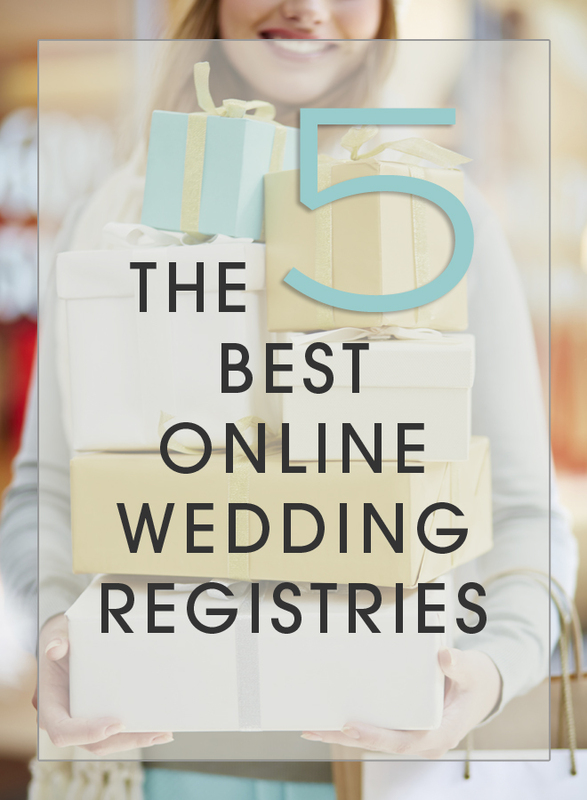 The 5 Best Online Wedding Registries, A Must Read! Tis’ the season to get engaged!!! That’s right, there’s something about the holidays and the cold that gets men all jazzed up to pick a wife, lol! And I have to be super honest, one of the best perks of getting married is getting all those fabulous presents! But you can’t just leave it up to Aunt Sally to buy whatever she wants for you. Oh sorry, is that terrible? Am I not right? That’s why registries were created in the first place. 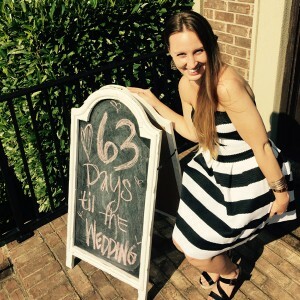 So today I am sharing my 5 personal favorite, online exclusive wedding registries. 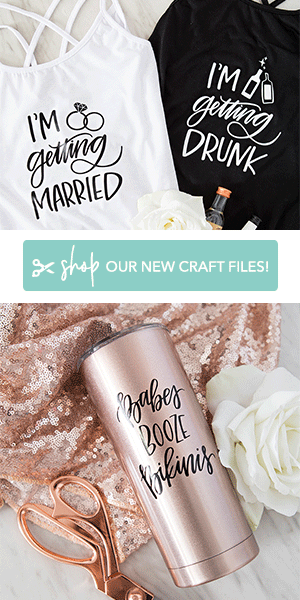 We all know that Target and Crate & Barrel are terrific, but these ideas here might be better suited for the tech-savvy bride and groom. There are many perks to building an online registry, one is that you can do it in your pajamas and two is that your guests can also do it in their pajamas. I recommend taking advantage of the era we’re in by building at least one online exclusive registry. Emily Post would tell you that including your wedding registry information brazenly on your wedding invitation is an absolute no-no. So here’s how you get around it but still get your point across that you don’t want just any gift. Registry info on a bridal shower invitation is a-ok after all giving gifts is what a bridal shower is for. 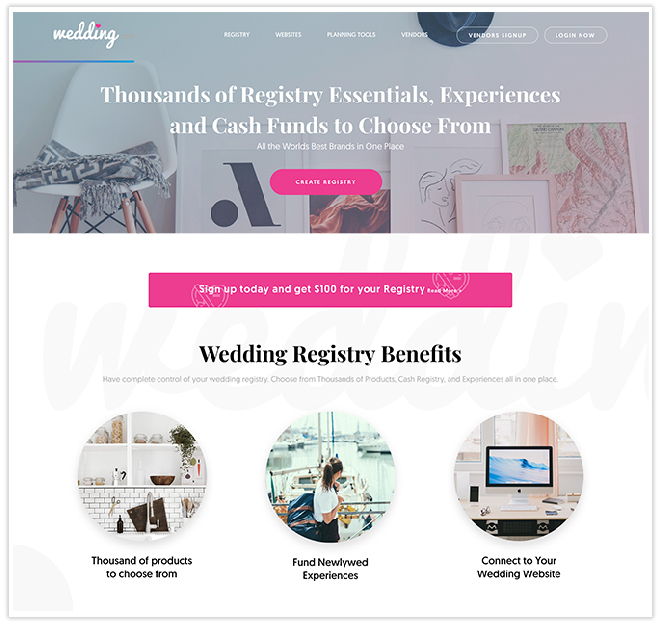 Beyond that, what you’ll need to do is build a wedding website and include all your registry information and live links (meaning linking straight to your registry, no searching involved) on a special registry page. Then on your wedding invitation, you can write something like “more information including lodging and registry available at www.yourweddingwebsite.com”. Classy and smart, wink. Yes, yes, and yes. 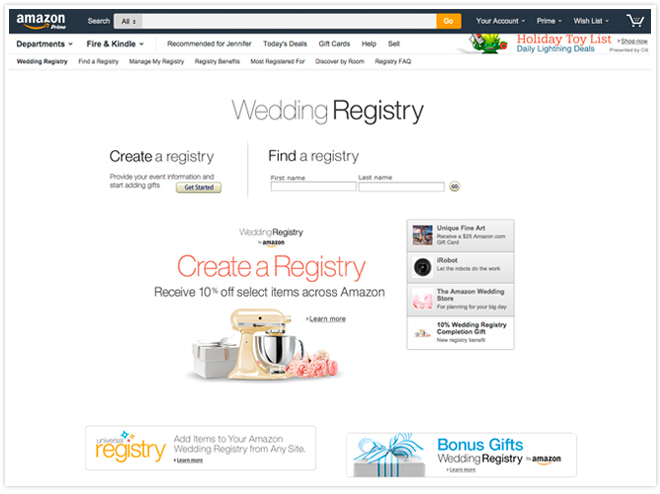 Amazon has it’s own wedding registry and it’s all the wonderful things that you’d imagine. And just like many big box stores, they also offer a 20% completion discount for Prime Members, and 10% for non-Prime; meaning after your wedding you will get a one-time use 20% discount off any Amazon item(s) left on your registry, so don’t worry if someone doesn’t by you that mixer! 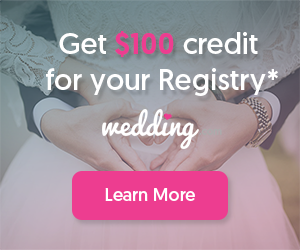 Wedding.com now offers an incredibly unique online wedding registry experience. You can register for thousands of products from your favorite brands, you can fund “newlywed experiences” (aka. just get cash), and seamlessly hook it up to your wedding website! Not to mention the fact that they have SO many other wedding planning tools available on their website. Check them out for sure! A very simple and easy to use online registry platform where you can add any gifts from any online retailer. 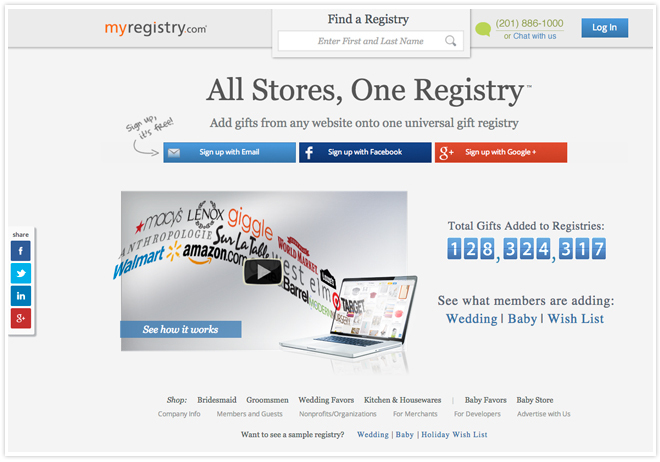 MyRegistry.com also lets you create your own cash gifts, merge existing registries and add items on the go by scanning bar codes with your smart phone. An overall smart registry if you ask me. As seen on Shark Tank (my fav!) 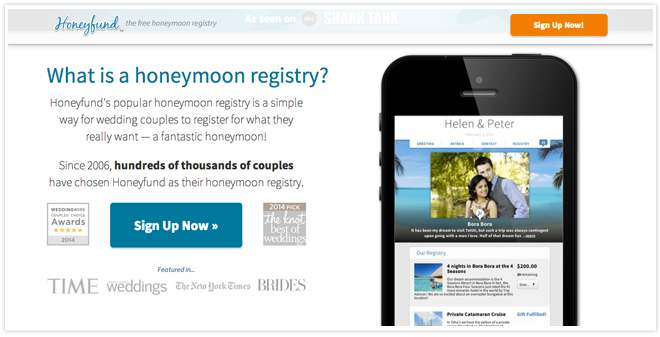 Honeyfund let’s you create a wedding registry for your honeymoon! You’ve got enough stuff but what you really need is to pay for a killer trip! Create your profile, add your destination and the website helps you create “gifts” that are essentially fake and really = cash to spend on whatever you need. It charges you a nominal fee but in the end you’ll end up with a pile of benjamin’s to use on the most special vacation of your life. 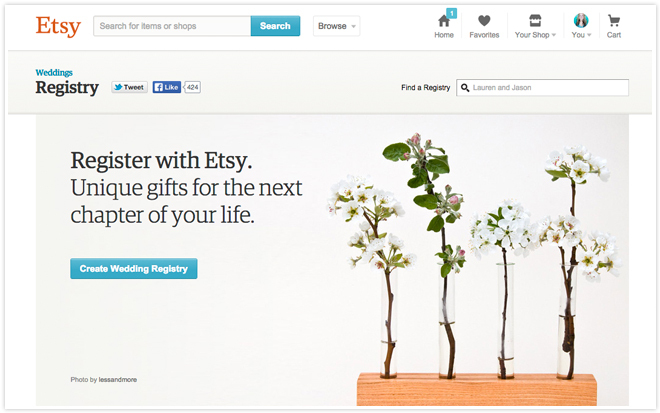 Last but certainly not least, Etsy! Obvious choice right? 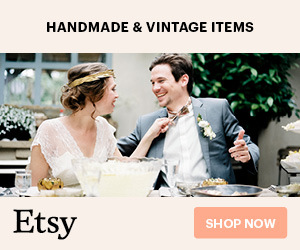 I am so freaking jealous that all of you get to sign up with Etsy.com for your wedding registry! It might have been the only registry that I had! Sign up and add all the amazing items from your favorite artisans, and squeal with delight as the killer gifts roll in! Although you might have to educate Aunt Sally about what Etsy is, it’s totally worth it. Or maybe just let your mom’s best friend June tell her about it, lol. This post contains some affiliate links. When you purchase items after clicking on these links, there is no additional cost to you but Something Turquoise receives a small percentage of the sale as a thank you for the referral. Meaning you get a great product that we love plus you get to help support our website and the free resources and inspiration we share!